Floral seating plan. 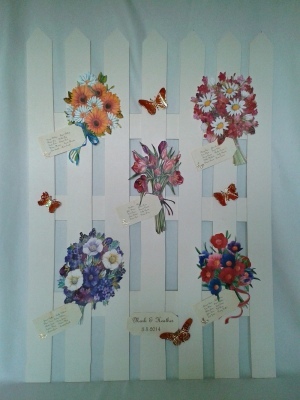 Contains 5 bouquets of flowers placed onto a card picket fence. Matching table names and place name tags are available for each table. Wedding invitations, menu, order of service, RSVP and save the date can be made to match your tables.